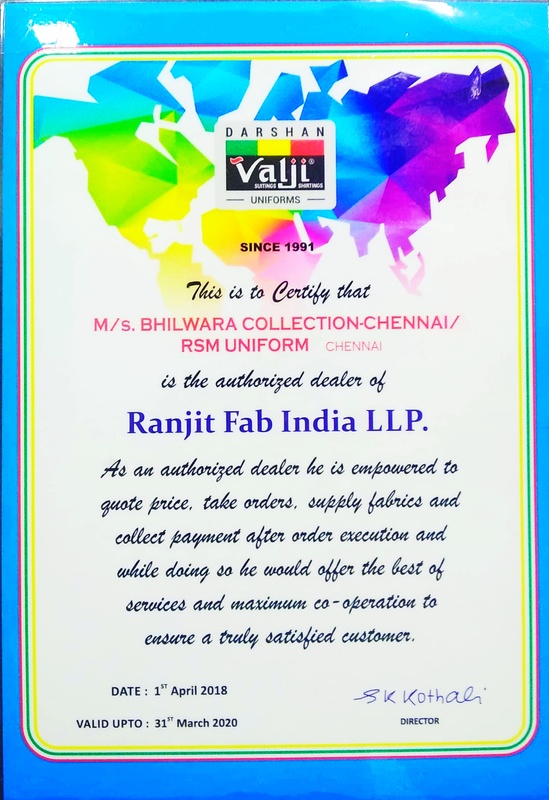 RSM Uniforms in Chennai is a proud Valji Uniform dealer in Chennai. Valji Uniforms is a well known name for good quality school uniforms and also has a varied range of Corporate uniforms. For your requirement for Valji Uniforms please feel free to connect with us at 9176634635 or 044 4232 6319 and we would be glad to help you.